darkSpyro - Spyro and Skylanders Forum - Fan Art - Storm's art! darkSpyro - Spyro and Skylanders Forum > Fandom > Fan Art > Storm's art! I decided to make my own art topic, and here it is! You can use my art as avatars, but they might need to be made smaller, and please give credit to me. Also, if you want to edit it, PM me for permission. Rough sketch for Blizz from one of my RPs. I finally started using online art programs. This is my second drawing with one! 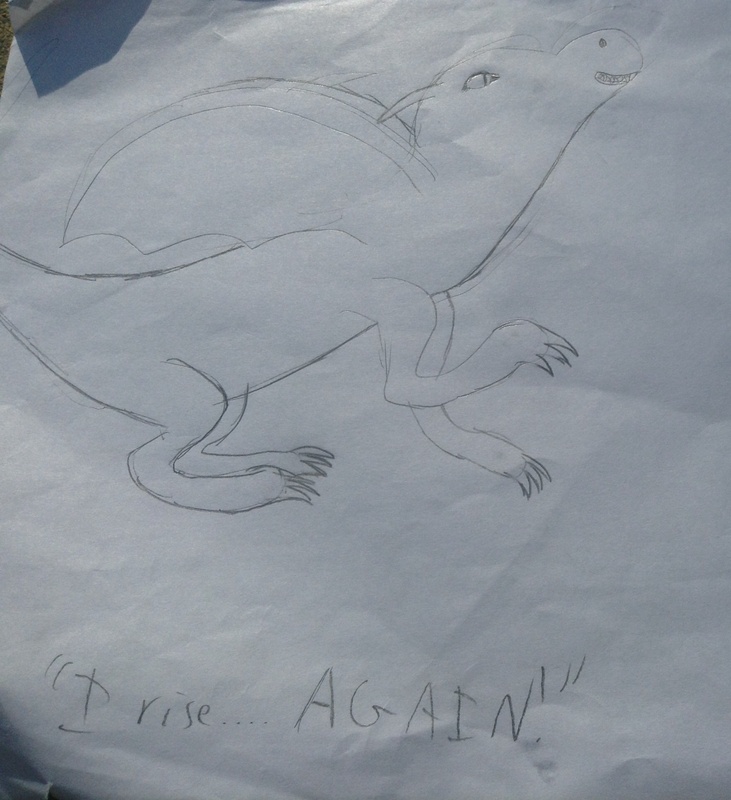 The dragon in the picture, Skyward, is one of my most common RP characters. I just did a normal background because I thought it would be better with a background than without. And now for the Mixel who started it all… Pirate Teslo! You know, I should really make a digital version of this. 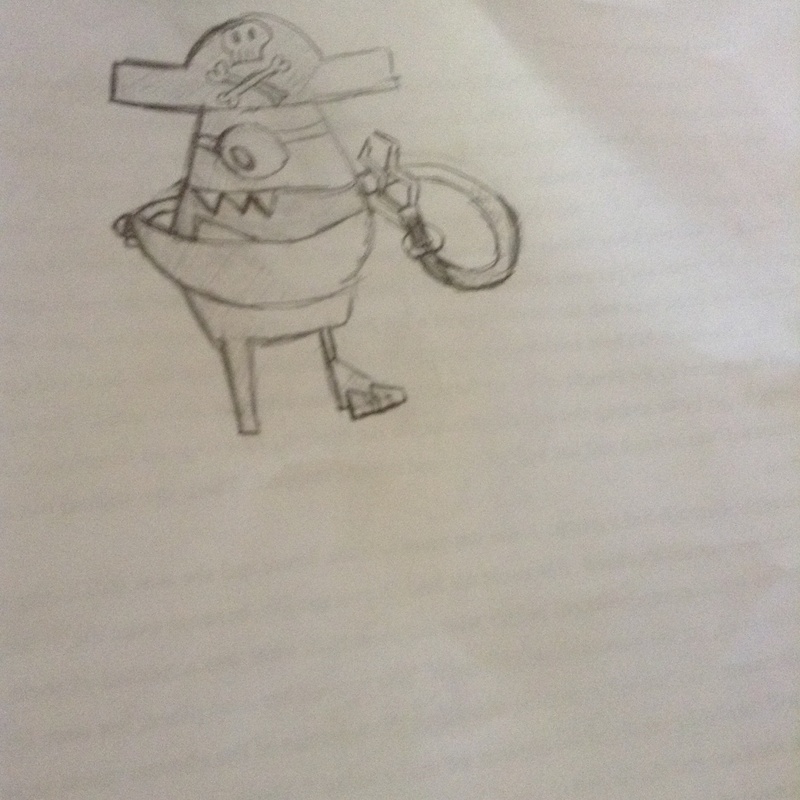 And an added bonus would be that you can't see that I did this during class on the back of my worksheet! Note to self: Either copy this or re-upload this. Starring from War of the Wings! They're really cute <3 Continue on with what you're doing. Blizzard from a story I'm writing. I didn't texture her scales because I thought it would interfere with the snow she's flying through. Sharpwing from a RP called Core. He's supposedly the bad guy, if not the main one, but he doesn't have much choice to be a bad guy or not. Kind of like Wreck-it Ralph, but smaller and probably less intelligent. Who doesn't like Cynder? 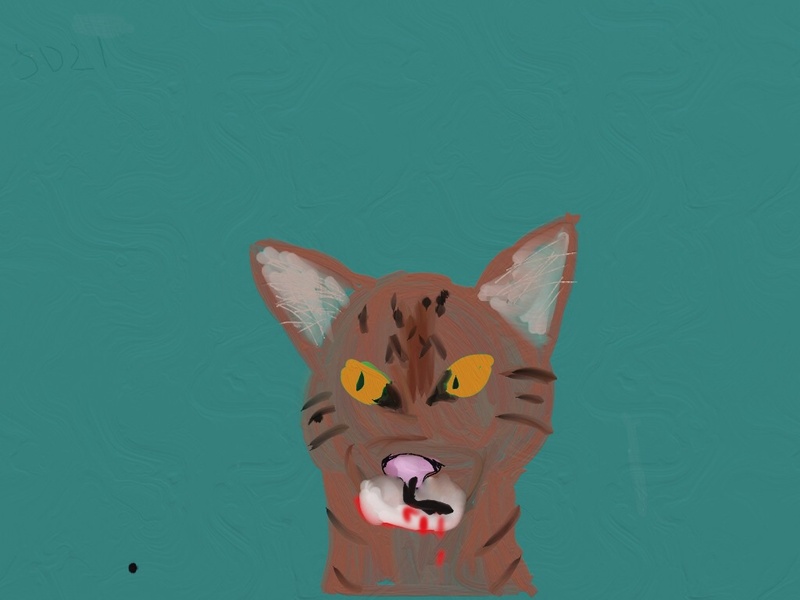 I made this with ArtRage, which allows me to get the exact color in a picture. Did I sound too much like a sales pitch? I use Devaintart, but that site looks epic! It's not actually a site. It's an art program for the iPad, and possibly some other tablets as well, but I don't know. Oh okay. It is cool art though!!! (Off topic) : Is your avatar from Dragon City or Dragon Story??? @Storm Your art looks great! Keep drawing those dragons. "Putting Skyward in a coma has given me the most amusement of this month. I think I'm going to do it." Your art is as amazing as ever! Keep it up! Storm, my official first request. Although technically, I asked if I could try drawing her, so maybe not as much as a request. Once I get the go-ahead for the rough sketch, I'll add color! Hey I have a request! I need a little bit more detail on what he looks like. You draw better dragon/bat wings then me. No big though... I kinda got rusty on it... Drawing furry creatures instead of scaley ones.... That's what I get. @ Jennacat4: Jagged Tooth will come after I figure out how to get the picture to my computer. Without further ado, whatever that means, here comes more Mixels fanart! The shadow on the bottom right was an accident caused by poor lighting, although I probably should have tried to work on it longer. Okay, this is going to take all of my fortitude to double-post. Deep breaths. Deep breaths. Deep breaths—I should probably stop now. Here's Jagged Tooth! Jennacat, your request is done! Are you ready for Storm? The new, complete, picture of Storm is here, now in FULL COLOR! Some fanart I did of Vulk…two weeks ago, to the minute. Storm, I really like how you do your extra layers and how you outline your dragons. Sketching is a great way to start and develop your art skills. Especially if you are a beginner. Having a base is a great way of guiding you step by step. Also, out of curiosity, which Art program do you use? EDIT: They're really good, a good idea is while uploading your images, choose a bigger resizing option, as it will be much easier to see. A good one is tinypic, you can pick your revolution to 15' screen or maybe a bit smaller because it may stretch the pages. I like using paper best because I have a little but more control, not to mention the fact that there's more room. My next drawing is going to be a full-color picture of Spyro the Dragon, but only his head because I ran out of room to add the body. Why do I always put the head in the center of he paper?! Here is Spyro, full color! Kind of strange that my other dragons never look like that, but I'm not complaining. Hey whoa, that Spyro looks amazing! :0 Nice angle and shading! Here comes Scorch! I'm planning to re-upload this after I make the face look more detailed. Happy Easter! Technically, happy early Easter since I don't expect to have any free time tomorrow. Deep breathing exercises for when you don't want to double-post .exe started. Finally started signing my artwork. Except, those signatures are going to be hidden just for the fun of it. I'm just that kind of person. Also would have made the edges look blurrier, but there isn't a "look blurrier" tool on my art program. Or, at least one that I know of. EDIT: Anyone know of a better uploading program? Maybe one that's a bit bigger and lets you see detail? I'd recommend uploading using imgur! It's what I upload with. Re-uploaded. Still need to fix the picture, though. I would have had the new version ready by now, but I can't find the tablet. How do I always misplace things?! Finally, someone understands how I feel! Yep, it's Bramblestar, but not while he was called that. Forget the new picture. I'm doing something else. This one is called "Picking up the Pieces". Hopefully it's not too much of a spoiler for my idea for the super-secret plan in The Angel and the Dragon. Yep, that's what it's supposed to be from. After the final battle and peace is restored to the Vale, it's not helping Skyward's nerves at all to see all of the destruction. I'm planning to add something to this picture, and this time I'll actually remember it! Well, forget it. I forgot what I was going to add. It's hard to believe that just one amulet could cause all of the trouble that Striker, Diamond, Silverblaze, and Melody faced. Maybe it didn't. But no matter what case, an evil has been unleash and it's up to those four—and the respective teams they lead—to stop this for once and for all. Yeah, it's a pretty bad tagline. But I tried.